The Museo Storico Nazionale dell'Arte Sanitaria is a museum located in Rome (Lungotevere in Sassia, 3), runned by the Accademia di Storia dell'Arte Sanitaria. 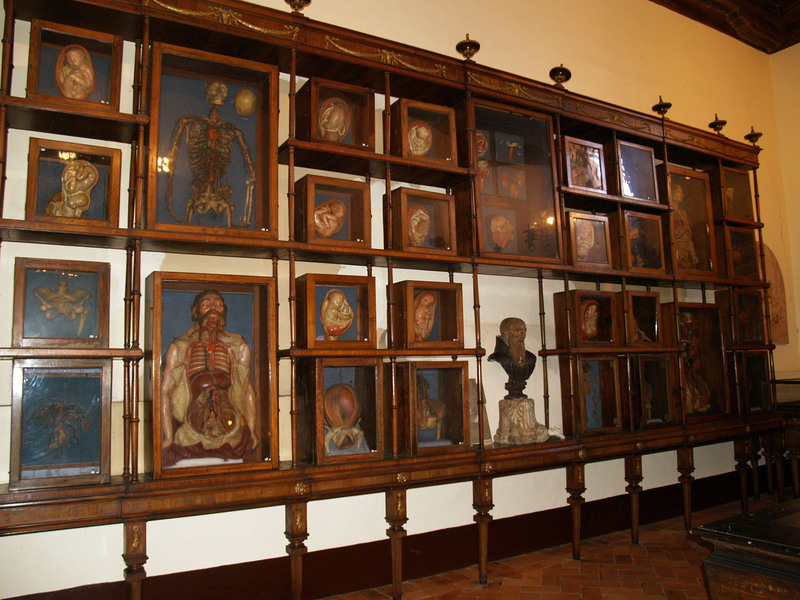 The old anatomical museum of The Monumental Complex of Santo Spirito in Saxia was not only used to preserve its findings but also had a didactic purpose. 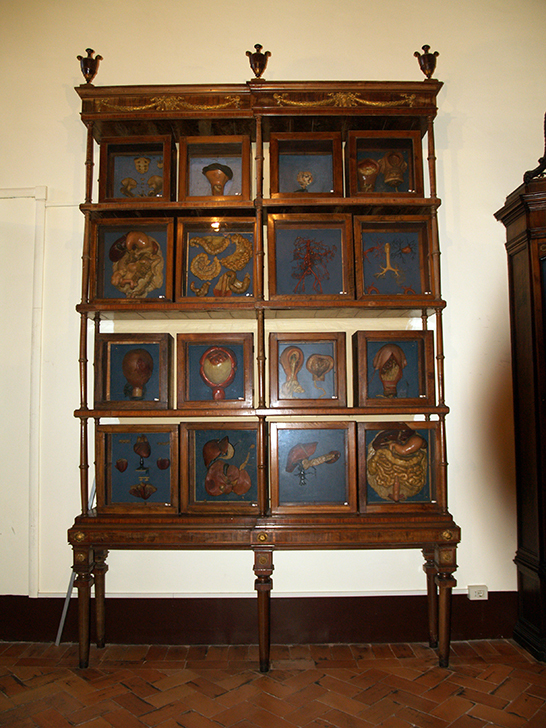 Along with the anatomical theatre it was the cabinet of anatomy for students where they dissect corpses and they showed the preparations or the models to make better understand Anatomy. The first director of the museum was Giuseppe Flajani (until 1808). 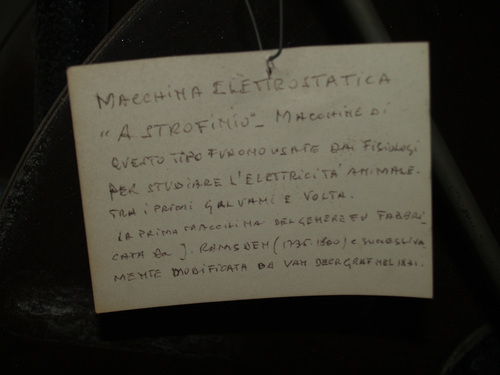 In 1871 after the death of the director Giuseppe Costantini the museum lost its vitality and in 1870 the dissection hall, hitherto reserved for solemn and academic ceremonies, was assigned to the teaching of experimental physiology and pathological anatomy. 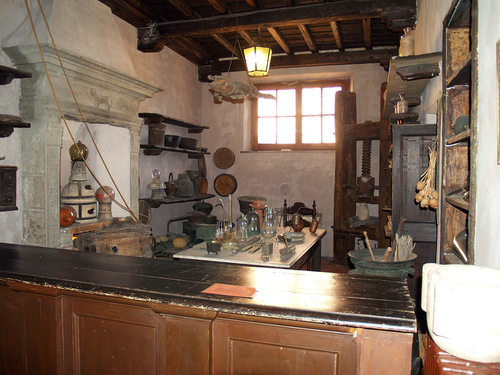 Following the exhibition of 1911, the reconstruction of a seventeenth century pharmacy, of an alchemical laboratory and a section dedicated to the history of medicine were exposed. On this occasion it was re-launched the idea of establishing a museum of history of the healthcare, so as not to lose the material of the exhibition. The current museum is made up of the historical collections supplemented with materials from that exhibition and with other collections of later addition. The first, in order of time, was that given by Pietro Capparoni followed in 1931 by that of Giovanni Carbonelli and many more. It is the first room you come across once you climb the staircase. Here are exhibited some impressive anatomical specimens, dry and in formalin, various showing congenital malformations: from bone lesions caused by syphilis to the phenomenon of the Siamese twins, from the macrocephaly to bicefalia. There is a collection of waxes which Manfredini made under the supervision of the anatomist Carlo Mondini. 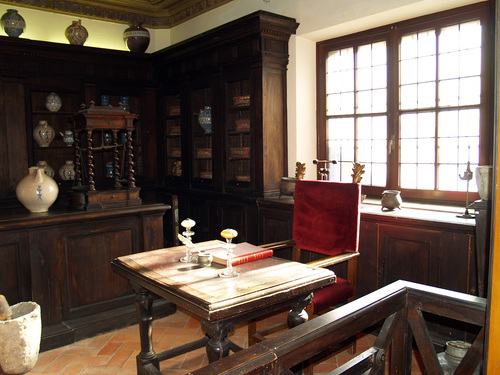 In the middle of the room there is the Cinchona bark's wooden chest with a ground cinchona bark of the XVIII century by Giovanni Battista Cipriani from Siena. 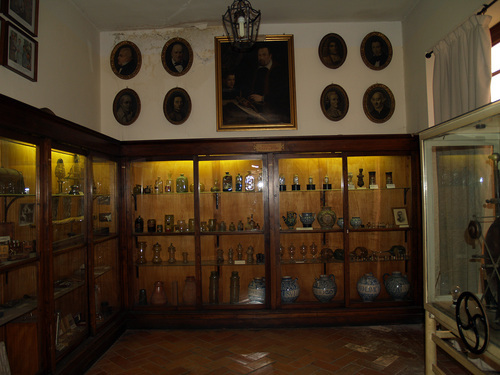 On the wall to the right there is a collection of kidney, liver kidney and bladder of patients hospitalized in 19th century. 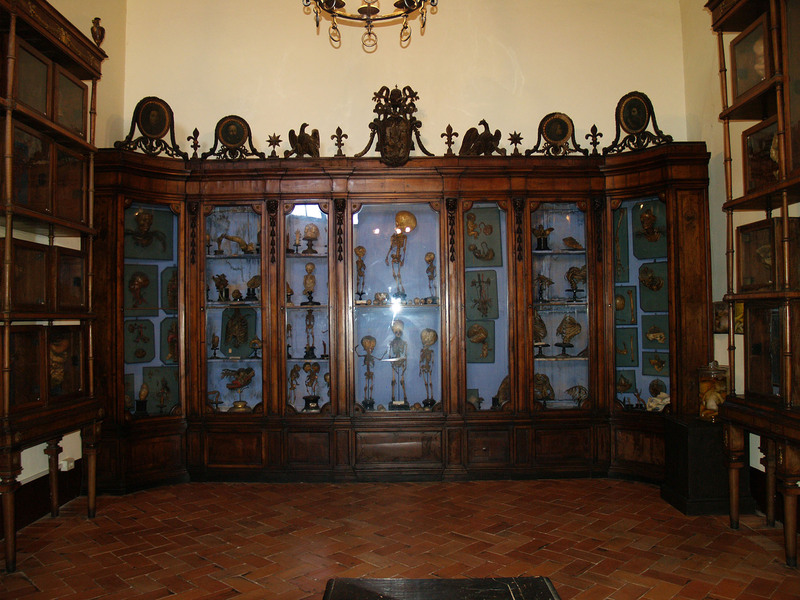 In this room it is preserved the alleged skull of Plinio "the old", discovered at the mouth of the Sarno river in early 20th Century. 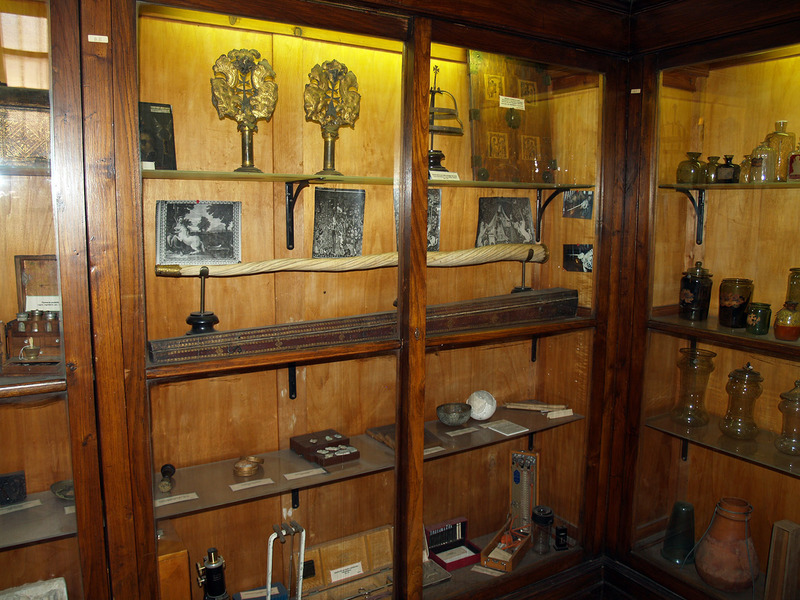 On the left there is a collection of Etruscan, Roman, Greek and modern finds health-related. In a showcase there is a horn of unicorn once considered with alleged healing powers. In another display there is an anatomical Venus in ivory built in Germany in 1600 and other instruments such as syringes, enemas dating from the seventeenth century. 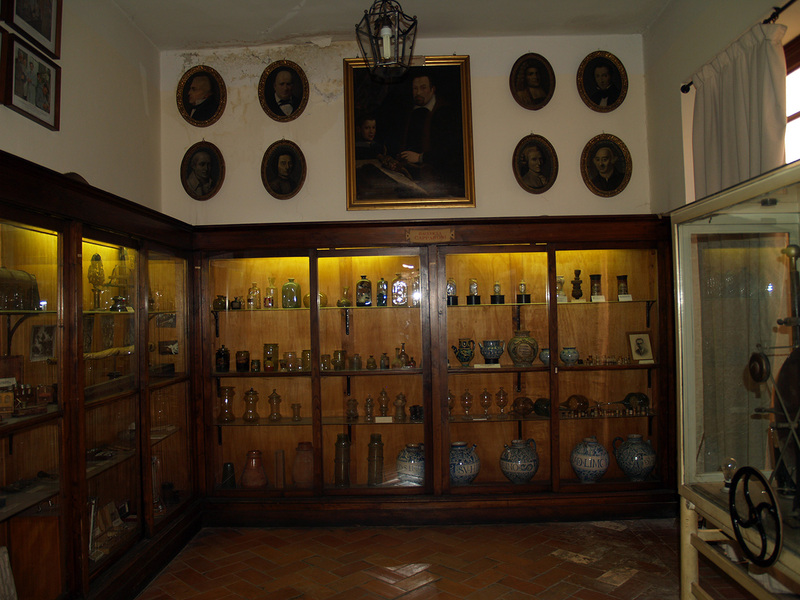 On the back wall there are glasses and apothecary jars and over the paintings of distinguished doctors with the portrait of Girolamo Fabrizi d'Acquapendente in the centre. 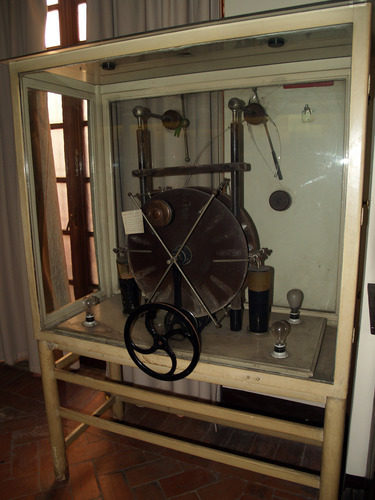 There is also a device for the electrotherapy from the 19th century. On the right side you can find a wooden chair that accesses the ladder on which Giovanni Maria Lancisi gave his lectures on medicine. On the back wall it is represented the central nervous system made by Luigi Raimondi in 1844 and in the opposite wall another central and peripheral nervous system realized by Stefano Fattocchio. In the windows are the tools for ancient common surgical tasks and some prints including one depicting a plague doctor in his particular clothing. There are two anesthesia devices used in the late 1800. This is a reconstruction of a pharmacy of 18th century with terracotta floor and coffered ceiling. The wooden counter is located opposite the access door; above it the scale used for the determination of the powders. 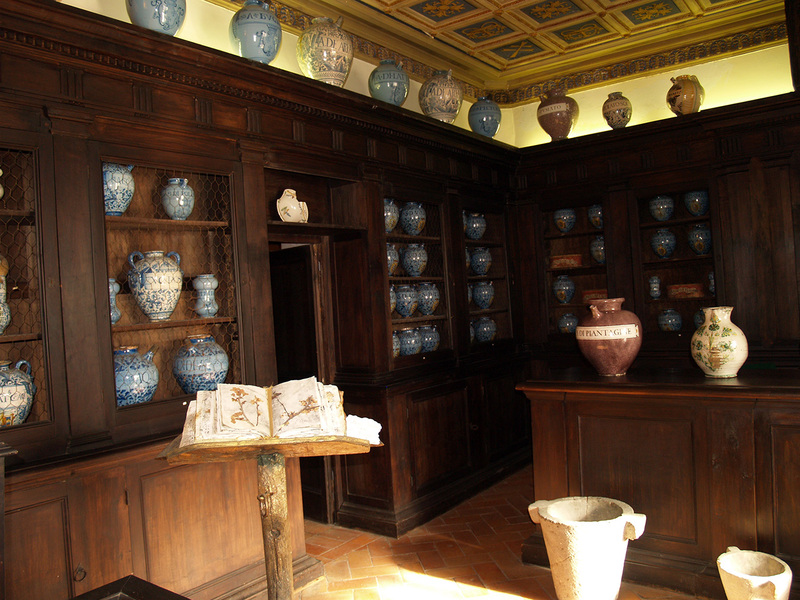 On the shelves there are apothecary jars used to contain medicines, mainly coming from the spicery of the Holy Spirit, St. James and Santa Maria della Consolazione in Rome. On the ceiling there is a stuffed crocodile tended to symbolize magic and superstition, there is a cast of the hermetic door of the gardens of Piazza Vittorio Emanuele, a stone container of the seventeenth century with lid and latch used to achieve theriac (supposed to be a preparation with miraculous virtues). Photos, main text and page layout by Martina Ceraudo moc.liamg|oduarec.anitram#| and Federica Fichera moc.liamtoh|tevdem_edef#| (December 2015), courtesy of the "Museo Storico Nazionale dell'Arte Sanitaria".